Feel free to email me if you need more details about this HOP. SIGN UP will end May 23, 2013 - details below. HOP starts May 24, 2013 - links on list will be updated to reflect direct link to giveaway posts. 1. You must host the giveaway on YOUR site. 2. 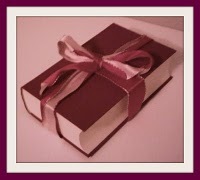 You must offer either a book (print-ebook-audio) or an item in keeping with the THEME, no gift cards. 3. 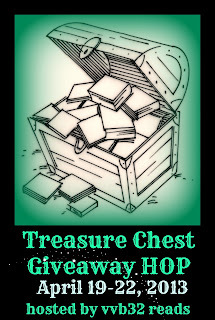 Your giveaway post must include the hop image, title info and link to this page as posted above. 4. You must include the Linky list below (grab the code below) for best hopping action. 5. Your post can go live any time between May 24-26. 6. Your deadline should end on May 27, 2013, 11:59 pm (your time zone). Please complete Linky sign up below. Sorry for the inconvenience, the linky tool is temporarily disabled. Feel free to send me an email vvb32@yahoo.com with your info and I will add you to the list once it is up and running again. 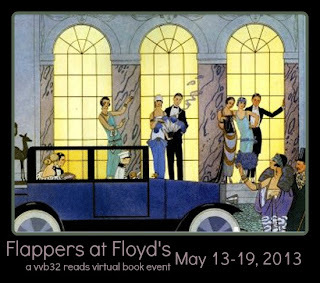 You are invited to a 1920's ritzy party at Floyd's! 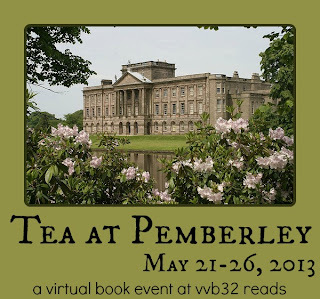 There will be music and dancing (and bookish stuff). 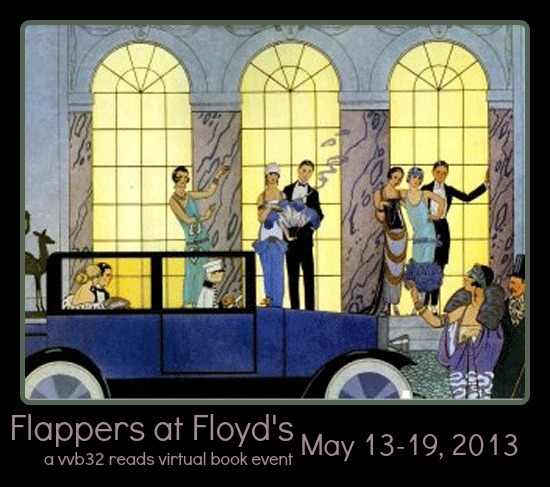 You might be lucky and meet Mr. Gatsby or his crush, Daisy (from The Great Gatsby by F. Scott Fitzgerald). Perhaps you will have a word with Evie O'Neill who may give you a reading, if she is so inclined (from The Diviners by Libba Bray). Hotsy totsy Bright Young Things (by Anna Godbersen) are sure to be on the dance floor. So RSVP in comments and send me a link to a picture of a 1920's flappers dress (or gentleman's suit) you would get dolled up with for this event. Hope you can join us, it will be swell! In a world where Others play with mortal lives, in a hidden province that survives on the backs of abducted slaves, Isabella, one of those stolen folk, sends a message woven into rare cloth made of paper and silk, in the vain hope that her cousin will find it, decipher it and rescue her. For cousin Nicholas, with whose life the Fates have been playing, only time will tell if he shall find her and whether what makes a curse does indeed break a curse. 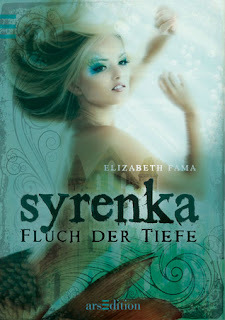 If you are already a fan of Prue's series, then you can add this to your list. It blends fairy tale and fantasy in a delightful way with her set of special otherworldly characters. As per in her previous stories, the use, description and details of crafting is engaging. 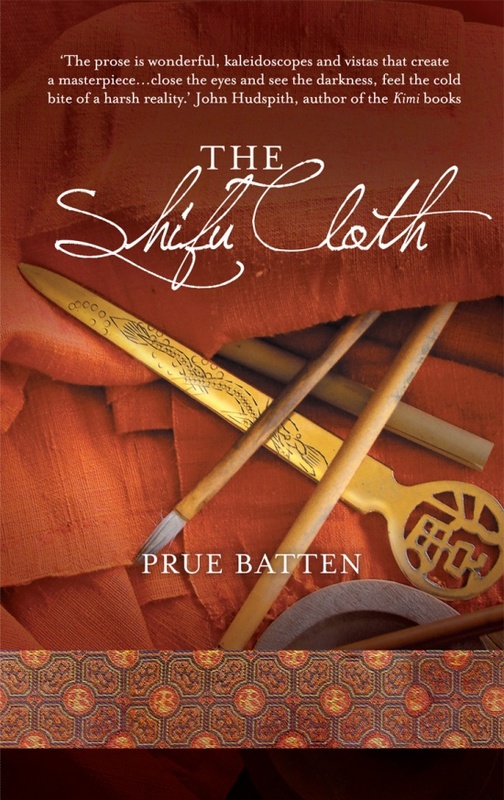 In this case, the making of shifu cloth. Loved learning about this art and enjoyed how it is incoporated in this magical story. One hundred years ago. 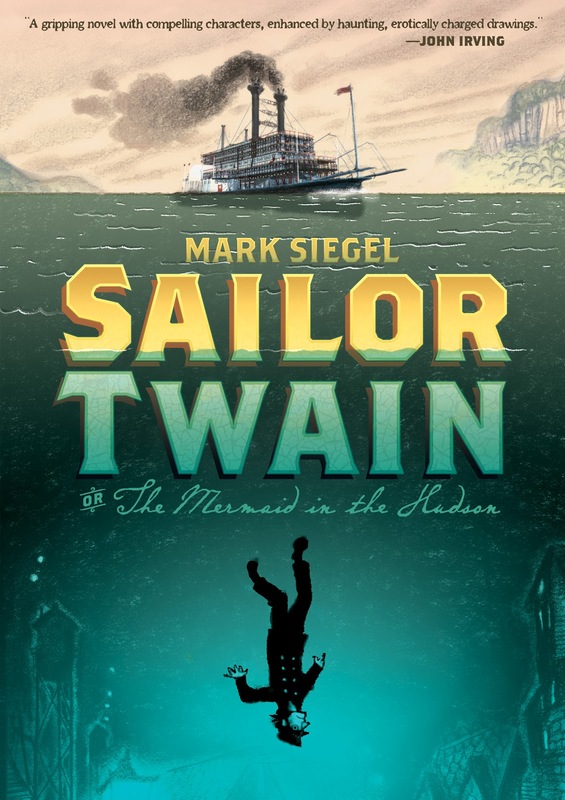 On the foggy Hudson River, a riverboat captain rescues an injured mermaid from the waters of the busiest port in the United States. A wildly popular--and notoriously reclusive--author makes a public debut. A French nobleman seeks a remedy for a curse. As three lives twine together and race to an unexpected collision, the mystery of the Mermaid of the Hudson deepens. I really liked this moody, quirky, magical-kinda sort of story. The artwork showed off the time period's fashion, gadgets, etc. very well. Almost one hundred forty years later, seventeen-year-old Hester meets a mysterious stranger named Ezra and feels overwhelmingly, inexplicably drawn to him. For generations, love has resulted in death for the women in her family. Is it an undiagnosed genetic defect . . . or a curse? With Ezra’s help, Hester investigates her family’s strange, sad history. 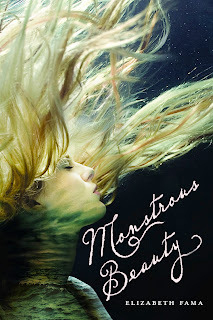 The answers she seeks are waiting in the graveyard, the crypt, and at the bottom of the ocean - but powerful forces will do anything to keep her from uncovering her connection to Syrenka and to the tragedy of so long ago. I listened to the audio version of this story and fell for this story hook, line and sinker. It was read by Katherine Kellgren who did an excellent job with voice accents and capturing the past and present worlds presented. What I like most was that each character's stories (not just the main character) are interesting and engaging throughout the story. Loved learning about this underwater world. 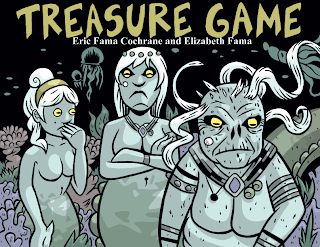 The sea creatures and plant life are just as interesting as the merfolk. I liked how this world was presented in vivid colors. I also enjoyed the sprinkling of action scenes and romance bits. Enjoyable read of life at sea! 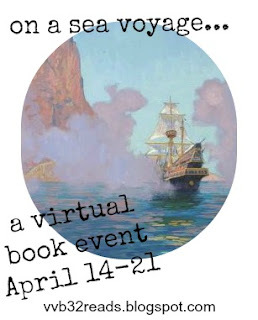 Because he is a young man and new to sailing and the sea, I loved following the main character, Perry, on his various adventures and learning about a sailor's life and survival during the 1500's. There's a batch of colorful characters as most sea tales include which make for interesting encounters. How Perry handles himself and lessons he learns in dealings were quite amusing at times. Looking forward to reading more of this series. And if you didn't already, check out an excerpt from book 2 here which gets into some mermaid lore. 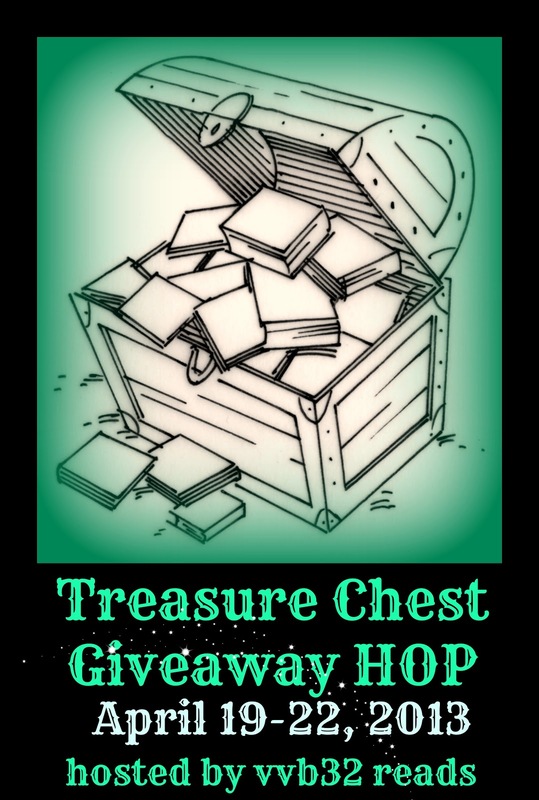 Please note the Treasure Chest giveaway HOP ends today. 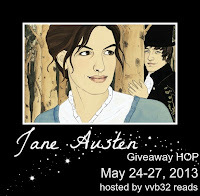 All other giveaways for this event end April 30, 2013. And for one last time, let us lift of our spyglass for one last look. 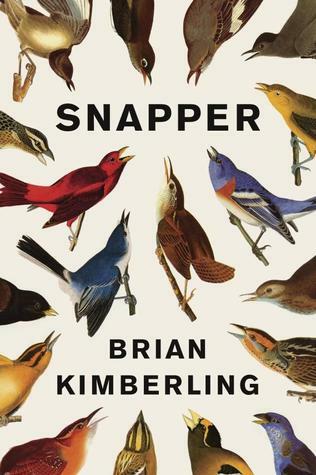 A great, hilarious new voice in fiction: the poignant, all-too-human recollections of an affable bird researcher in backwater Indiana as he goes through a disastrous yet heartening love affair with the place and its people. Nathan Lochmueller studies birds for just enough money to live and learn on. He drives a glitter-festooned truck, the Gypsy Moth, and he is in love with Lola, a woman so free-spirited and mysterious she can break a man's heart with a sigh or a shrug. Around them swirls a remarkable cast of characters: the proprietor of Fast Eddie's Burgers, the genius behind "Thong Thursdays," Uncle Dart, a Texan who brings his swagger to Indiana with profound and nearly devastating results; a snapping turtle with a taste for thumbs, a German Shepherd who howls backup vocals, and the very charismatic state of Indiana itself. And at the centre of it all: Nathan, creeping through the forest to observe the birds he loves, and coming to terms with the accidental turns his life has taken. This animated pirate film was part of nominated films in the 2013 Oscars category for Animated Feature Film. Fun movie with cute scenes and funny moments - especially loved the cameo of Jane Austen! This will kick-off a series of TEA events that I whereby I will feature books related to certain fictional places. 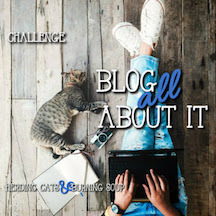 Fellow bloggers and authors are welcome to contact me, if you are interested in participating in this event with guest posts or giveaways. 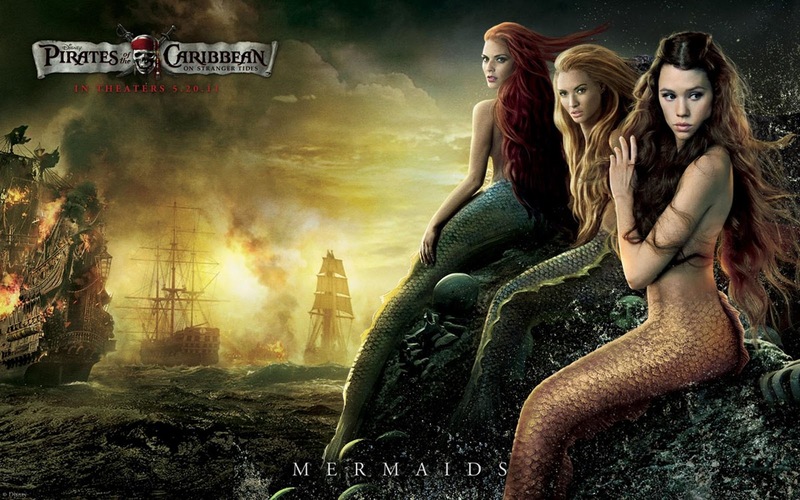 If did not already know, mermaids make an appearance in the third film in the Pirates of Caribbean series. WIN a pink and black Pirates of Caribbean bandanna! 2. LEAVE a comment or question for the author at the individual post. 3. RETURN to this post, let me know in comments that you did the deed along with your email. Captain Vix is looking through her treasure chest in search of a special cup. 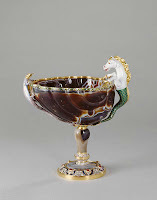 It once belonged to Marie Antoinette. She must find it before the next moonrise for the King (down under). This is the payment the captain must forfeit to keep the crew and passengers safe from the swarm of merfolk who wish to steal souls. Set in the Catskills on the eve of the Revolutionary War, Seven Locks is a spare, haunting, and beautifully written debut for readers who loved The Story of Edgar Sawtelle. In the years before the American Revolution, a woman’s husband mysteriously disappears without a trace, abandoning her and her children on their farm at the foot of the Catskill Mountains. At first many believe that the farm wife, who has the reputation of being a scold, has driven her husband away. 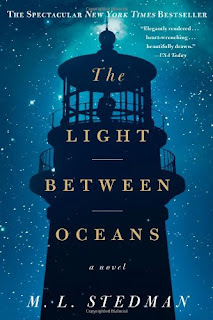 But as the strange circumstances of his disappearance circulate, a darker story begins to unfold, sending the lost man's wife on a desperate journey to find the means and self-reliance to ensure her family’s survival. 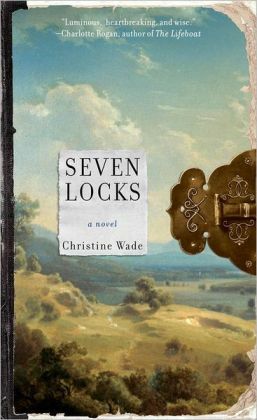 Inspired by a famous American folktale, Seven Locks is an ambitious and poignant exploration of family love, secrets, and misunderstandings, and of the inner and outer lives of the American frontier at the end of the eigtheenth century. In this lyrical and complex book, which opens with a mystery and ends with a literary twist, Wade creates a rich, imaginative and tactile evocation of life and times in the historical Hudson River Valley, where the lines between myth and reality fade in the wilderness beyond the small towns, while an American nation struggles to emerge. 2. AND, let me know in comments what you did along with your email. The mermaids cleared away as fast as they appeared. 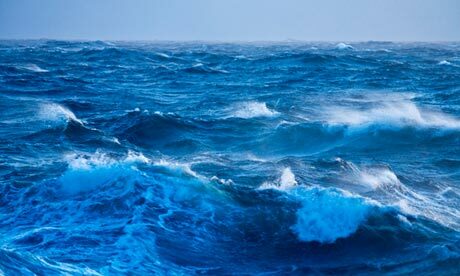 Something from the bottom of the ocean simply called to them and they obeyed. We shall never know what lured those sea creatures away. But thank goodness no one on board the Rusty Dagger fell for their seductive machinations. Hmmmm, the vast ocean and its secrets. 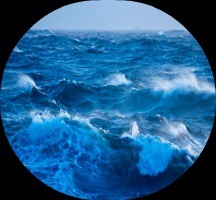 Let's raise up our spyglass again and see what we can see. On board the moletrain Medes, Sham Yes ap Soorap watches in awe as he witnesses his first moldywarpe hunt: the giant mole bursting from the earth, the harpoonists targeting their prey, the battle resulting in one’s death and the other’s glory. 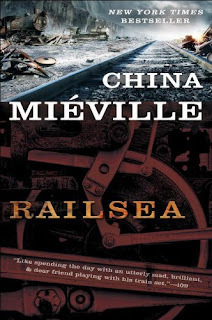 Spectacular as it is, Sham can’t shake the sense that there is more to life than the endless rails of the railsea—even if his captain thinks only of hunting the ivory-colored mole that took her arm years ago. But when they come across a wrecked train, Sham finds something—a series of pictures hinting at something, somewhere, that should be impossible—that leads to considerably more than he’d bargained for. Soon he’s hunted on all sides, by pirates, trainsfolk, monsters and salvage-scrabblers. And it might not be just Sham’s life that’s about to change. It could be the whole of the railsea. The evening was clear and calm, the welkin wind moist and cold, bringing a tingle to the back of Nicholas’s neck. As he sat on the rocks at the side of the cove, an image of his cousin being tied and hooded flashed through his mind. He tried to banish the traumatic moment until he was ready, instead thinking on his own place in this world of mortals in which he lived. But as always, it came back to the difference that seemed to striate his very soul, the difference between he and she. Why is it that the sum of one’s parts are so affected by one of those parts being so altered from the rest? For so long he had quietly envied Isabella, envied that she was completely all of one thing – mortal – while he was neither one nor the other. A mixed up melting pot of Færan and mortal and as alien one to the other as sugar is to salt. I’m a confusion where one side must by its very essence, cancel out the other. But all that aside, he cared for his cousin as if she were gold and it was that above all else that reduced him to what he was as he sat on the rock in that hideous cove. He had not been able to protect her that night and he a Færan. A thrilling voice disturbed his self-indulgence, setting the hairs on his arms to attention. 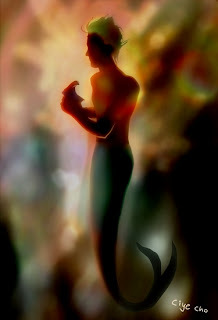 He turned around and found a Ceasg standing behind him, her lustrous tail shed and in place, shapely legs. Her beauty drew his breath away. She was as tall as his shoulder and her form was clothed in sea-green fragments that undulated in the welkin wind. He chided himself for ignoring the unsettling fingers of the little zephyr earlier, knowing it implied something Other was close by. Her hair waved in the eldritch breeze, silver tresses touched with the light of a winter’s frost, her skin as pale as snow, nacreous, like the lustre of the pearls that laced through her hair. Her hand touched him and he knew if he had been mortal he would crave more of the same. But he was of Færan blood and sensed danger, as though he had just put a finger into an icy stream. He stood up as she came closer, so close that as she spoke, cool breath with the tang of sea dusted his neck. Alert as never before, he sifted through his thoughts, allowing only those the Ceasg would approve of to come to the fore. ‘It is true,’ he offered politely, knowing how malevolent the waterwight could be. She looked him over – a glint at the back of her eye smacked of short temper. She simpered, walking around him, trailing cold fingers over his chest, round his neck, flicking the leather buttons of his shirt open. One … by one … by one until his chest was laid bare. He let her move, his wits sharp. Something tingled, an intuition. I feel nothing. She is iced poison and I feel nothing. Like a weather change, she whipped her breast back into the confines of the fabric and her face shut down. She flung herself round and was about to walk back to the shoreline when Nicholas grabbed her arm. ‘I am thoughtless. But then all Færan are – you know this. It’s a universal truth.’ He held her chilling hands in his own and ran a touch over her palm, letting one finger linger. Her breath sucked in. She kept her face turned from him. ‘I remember the black men and then a kick to my stomach and head. Nothing more. Which is a shame,’ he added as he gentled her with his fingers, shifting them back and forth as if she were silk. He bent his head and kissed her palm. He lifted a hand and ran it through her waving silver hair, wrapping a tress of it round his hand and pulling her toward him, lowering his head to her neck. He licked and felt her shiver, his own body stone cold at the touch of tongue to skin. 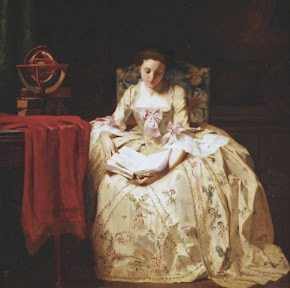 She sat very still and then spoke words that pierced him like sword strokes. She pushed hard at his chin, almost a punch. He watched her swim away, a splash of furious phosphorescence. Make love to her? Never. He buttoned his shirt and dragged the tails into his breeches, goosebumps lifting in the after-chill the Ceasg left behind. For cousin Nicholas, with whose life the Fates have been playing, only time will tell if he can find her and whether what makes a curse does indeed break a curse. Just before dusk, after proceeding some miles into the vast bay of fresh water known as the Rio de la Plata, or Silver River, the Pelican anchored in the lee of a rocky island, which provided good protection against the southerly wind. After serving dinner, I joined the usual gang below on the gun deck among the cannon. The general mood continued to be as grim as it had been for the past week. Our course southward down the coast of Brazil proved to everyone that our destination could be only one of two places, and neither was a friendly harbor. Either we were headed around Africa to the Indies or else Drake was taking us through the Straits of Magellan into the Southern Ocean. The conversation died away after this melancholy revelation, which allowed us to hear clearly the noise coming from the nearby island, which was home to dozens of sea wolves, as the Spaniards called them, a kind of seal. The males had the manes of lions and each was guarding a harem of smaller females and pups. The animals were continually barking, growling, huffing, and grunting at one another, and occasionally the bulls would let loose unsettling barrages of angry squeals. Pascoe Goddy had taken up his marlinspike and was using the tip to work a strand of cord through the round knot he was weaving, which was known as a monkey's fist, or slungshot. The design was as practical as it was ornamental. Tied to the end of a line, and then cast off at speed at an enemy, its weight and velocity caused the knot to become a weapon, allowing you to stun your opponent from a distance. Even I had heard of the adventure, which had made Drake's fortune although more than half his men died in its doing. “Yes, that was his name. As I said, a couple of the men pretended to be his companions and plied him with Madeira and sack, of which we had a good quantity, and with aqua vitae, too, until Pike was insensible. Then they rowed him in a long boat out to an island some cable lengths from the main, where they stripped him naked and lay him down unconscious at the high tide mark. The plan was to maroon Pike on the island and then to rescue him in a day or two after he had reflected upon the sad consequences of intemperance. Aye, it was a cruel jest, all in all, but no one expected any harm to come of it. “At the rocky beach,” everyone answered in unison. “Exactly! And there was Richard Pike. We had expected to find him naked, sober, and chastened but instead he was even more drunk than when he had been marooned. This perplexed everyone until we discovered that the island was home to a grove of coco palms. Their nuts are sturdy things but if they fall upon stony soil, they sometimes crack open, exposing the milk and causing the liquid to ferment into wine. Having sampled the stuff myself, I can swear it is a foul beverage but when we found him, Pike was using a coco shell as a tankard and swilling down the awful liquor as if it were expensive Canary. “He was alone on the beach but the sand around him bore the imprint of many bodies, as if a crowd had recently been lying there. To one side lay the corpse of a bull seal and in the shallows nearby several she-seals swam among the breakers. The place had apparently been employed as a rookery for many seasons. “John Harris, who died not long afterward from Spanish lead, God rest him, could not hide his amusement at Pike's delusion. “By now it was clear that Pike was mad as well as drunk. We knew it was our fault, too. We had left him naked and alone in the wilderness of the Darian coast, where the shock of being marooned had unhinged him. We also suspected Drake would not be pleased to lose a man to lunacy, seeing as how our company had been decimated by the Spanish. “Except—“ we quoted back to him in unison. With a last twist and tug, Goddy completed the monkey's fist and held the pretty thing up for study. It was as fine a day to be whipped as any he’d ever seen but the good weather didn’t make Peregrine James any happier with the situation he was in. 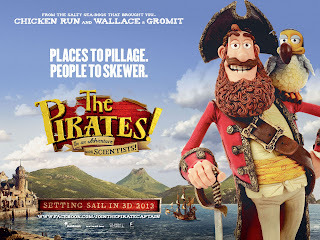 Unfairly convicted of a crime he had not committed, the young cook was strung from the whipping post on the Plymouth quay side when he caught the eye of Francis Drake and managed to convince the charismatic sea captain to accept him among his crew. 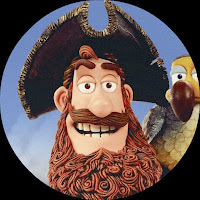 Soon England was receding in their wake and Perry was serving an unsavory collection of sea dogs as the small fleet of fragile wood ships sailed across the brine. Their destination was secret, known to Drake alone. Few sailors believed the public avowal that the expedition was headed for Alexandria to trade in currants. Some men suspected Drake planned a raid across Panama to attack the Spanish in the Pacific. Others were sure the real plan was to round the Cape of Storms to break the Portuguese monopoly of the spice trade. 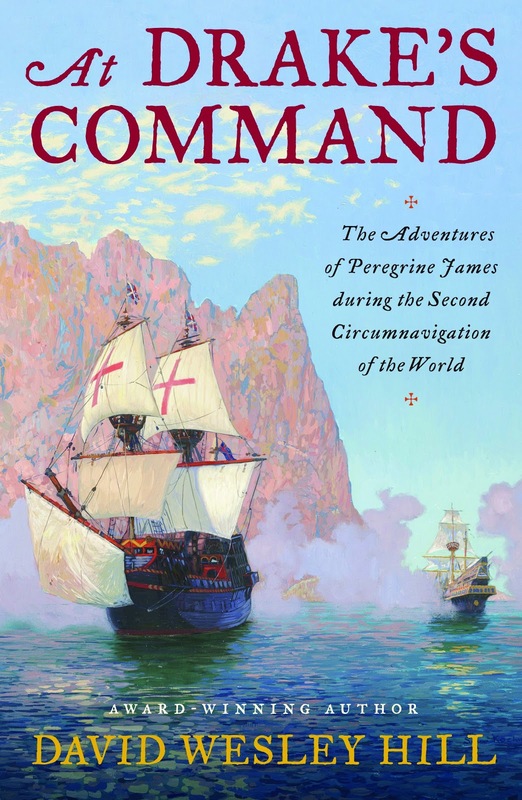 The only thing Perry knew for certain was that they were bound for danger and that he must live by his wits if he were to survive serving at Drake’s command. 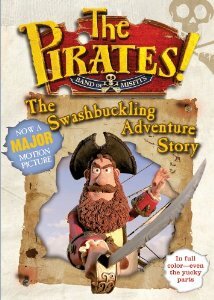 WIN a print copy of this book! Open to US, Canada, and Great Britain. In the world of Niemela, there existed a library known as the Repository. This place was a water-filled cavern full of stone pillars, and each pillar held scrolls made of kelp. Along the ceiling, sea anemones gave off a gold light. In this glow, clownfish in all sorts of colors spiraled to form a living rainbow. The Repository was full of mermaids and mermen, and each one had a different color scheme, from violet tails and green hair to red scales and blonde locks. These mer were knowledge collectors: adults who were known as thinkers; and youths who were known as thinker novices. The latter were students on the verge of adulthood. But regardless of age, all the mer in this cavern were busy inserting rolled-up scrolls into the empty holes of each pillar. Well, all except for one novice. Wynn gazed around him. But no one else looked up, all focused on his or her work. 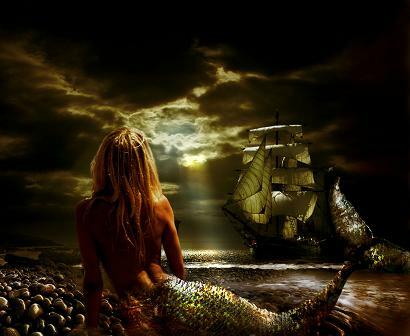 The only sound to be heard was a soft rustling as mer tails brushed against the sand floor. He looked to the right at a jellyfish as tall as a merman. This animal had multicolored tendrils, and scrolls were attached to each strand. Every scroll was the same color as the tendril it hung from. Wynn watched as a pink mermaid took a scroll from the jellyfish and re-shelved it into a pillar. Wynn plucked a scroll from a tendril and unfurled it. He found himself looking at a history of Niemela’s kelp farms. Wynn headed to a pillar reserved for agriculture records, then placed the scroll into one of the holes. He turned and stared at the center of the Repository. Amid a clearing was a huge mound of scrolls. Once a year, the thinkers took out all the scrolls from the pillars and chucked them in a pile so that pipe-fish could clean the holes in each pillar. After this, thinkers and thinker novices would stick each scroll back in its original place. Yet, Wynn always found this routine to be rather silly. Dirt never got into the holes, so why all the fuss? That’s Niemela, I guess, thought Wynn. Order. Harmony. Rules. He looked around and wondered if he had made the right choice back when he joined the thinker novices. Reading scrolls was the only thing he was good at. Yet, maybe he had been too hasty. Maybe he’d be better off studying to be a healer or a builder. Or maybe even a guardian. Wynn wondered if any of the other thinker novices felt this way. These multicolored mer seemed to fit in so perfectly into their chosen calling, just like the colored scrolls that they slotted into pillars. An old merman swam over to Wynn. “Is everything alright?” said the elder. “Hmph, very well,” said Tavani, already lost in his thoughts. The old merman wandered off and Wynn found himself floating before a history pillar. Ever since he came to the Repository, he’d always loved reading scrolls about the ancient battles. The action, danger, and excitement—all of it was a million leagues from the insular world of the thinkers. He pulled out a red scroll: the Life and Times of King Borealis. 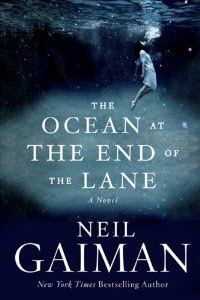 He was about to read it for the umpteenth time, until a pair of mermen rushed past him. He looked up to see two bulky mermen who chased a squid among the pillars. These mermen each wore a red armband, marking them as members of the warrior path. “Apologies, Master Tavani,” said one of the warriors. “Nothing,” Wynn mumbled. He gazed at the history pillar and shook his head. Warriors… Bah! They act as if they can do anything, he thought to himself. Yet, as he watched them laugh and jostle each other, he felt a strange emotion. A feeling that squirmed about inside him like a flimmerworm. Did he want to be a warrior? Was it even possible? However, before he could return to his shelving duty, the warriors did another pass around the Repository. And as they went, a current pulled the red scroll from Wynn’s hands. This piece of kelp was carried to the far wall, and there, it settled behind a rock. Wynn headed over to the rock. But when he swam behind it, he noticed a small hole in the ground. An opening large enough to fit a merperson. “Huh?” said Wynn. He stuck his head into the hole to see murky water. Without thinking it over, he swam through the opening and into a dark passage. Sand swirled around him, but eventually Wynn emerged in a cavern. The stone walls were covered with moss that glowed faintly. Wynn swam over to a wall and used his mind to send a thought-command to the moss: illuminate. The moss glowed a bright red. Wynn realized that the moss was arranged in complex shapes, creating a mural of merfolk. He saw warriors fighting shapes made out of dark, unlit moss. The plants flickered, giving a sense of motion. Where am I? Wynn wondered, before his gaze lowered to the floor. Here, moss was gathered in the shape of a giant spear. 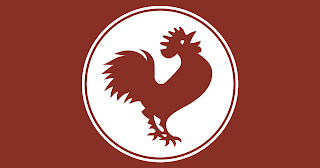 The symbol of the warriors. This place… it’s the Warriors’ Sanctum! He moved further in and saw tunnels carved along different parts of the cavern. He entered one and ended up in a chamber full of training equipment, such as padded clubs; he entered another to find himself in a room stocked with kelp armor. All these rooms were abandoned, but that made sense to Wynn. The Sanctum was supposed to be a sacred place. Wynn wandered through a third tunnel. He entered a chamber full of stone swords, cudgels, and clubs. All these weapons rested on slate pedestals. The walls here were also made of black stone. They had holes cut into them. Wynn swam over to a wall and saw that each hole had a red armband inside it, and inside each band was a red coral that flickered. He wondered if this light was similar to the legendary ‘Land Fyre’ (the flames used by the mysterious beings known as humans). Each armband represented a fallen mer. There were hundreds of them. This place was a shrine devoted to some of Niemela’s greatest warriors. Wynn gulped. He felt a sense of wrongness being here. This was a place for the brave and courageous—not a curious thinker. He backed away. However, when he returned to the moss cavern, he heard a rustling. He followed the sound to another chamber and peered in. Inside a chamber lit by purple moss, a mermaid was swimming in spirals. Or rather, that’s what it looked like at first. Wynn got closer, and he watched her shoot around the chamber to avoid darts that were being fired out of holes in the wall. She held a sword in each hand and spun them about to smash the darts. All the while, the purple light shimmered around her. Her eyes were closed. Wynn instantly knew she was a warrior novice. She wasn’t muscly like the male novices in her group, but there was a strength and a solidness to her. Something that marked her as a fighter. Yet… she was also pretty. 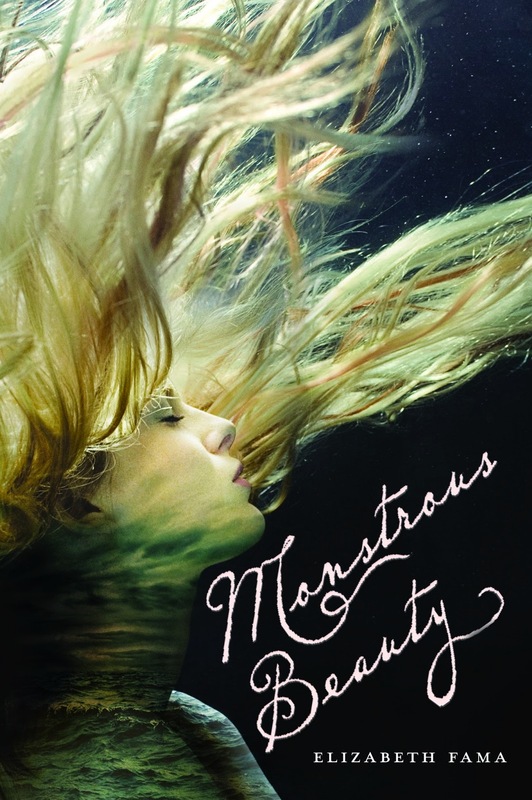 Attractive in a different way from most mermaids. Her hair was short and spiky. Dark too. He leaned against the chamber opening. A dart rushed past him and he sucked in a breath. The mermaid slowed. The darts stopped firing. She opened her eyes and stared at Wynn. “What are you doing here?” she said. The chamber light brightened, revealing a sharp frown on her face. 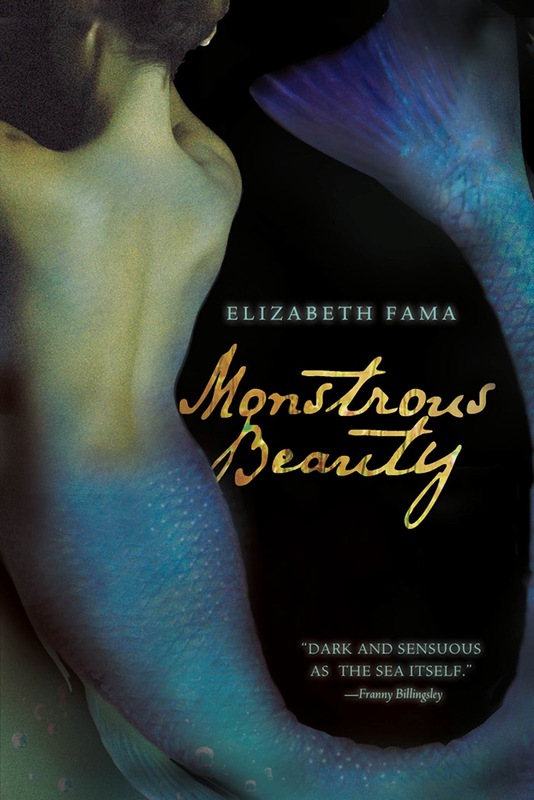 Her tail and hair were a dark purple; her pale skin had a hint of red and blue shadows. Her gaze lowered to his sand-brown torso, and Wynn felt self-conscious. He’d always been skinny like a reedfish—and no amount of time had changed that. Wynn’s eyes widened. “Ah! So this is the Stone Armory. The place where the warriors kept the weapons from the ancient battle against the Stone Giants.” He started to recall something he’d once read: the Stone Giants were monsters from the time of Borealis. They were some of the first creatures to emerge from the Darkness, and they could only be destroyed if you struck them with the heaviest of stone weapons. The mermaid raised an eyebrow. She held up the sword before placing it on the pedestal. He reached out to grab the sword. “It doesn’t look very…” He sucked in a breath as he struggled to lift it off the pedestal. 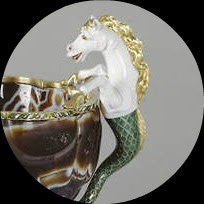 The mermaid chuckled, but Wynn didn’t relent. He lifted the weapon higher. It took all his force, but he managed to hold it out. “It’s not too heavy,” he added through gritted teeth. The mermaid shrugged. “Is that all you’ve got?” Before he could respond, she went over to a larger blade and lifted it up with one hand. Her arm was steady as she held it out, but Wynn did not hesitate. He picked up a similar weapon. “Did you say something?” he said. His hand shook, and in his mind, he cried out, By the All-Tide! What are you doing, Wynn? The mermaid frowned, but put down her sword. Wynn lowered his so fast that it crashed onto a pedestal and chipped the slate. The warrior novice went over to a large club and lifted it up with two hands. Her arm muscles tensed up a bit. “How’s this, thinker?” She said before she tossed the club to Wynn. 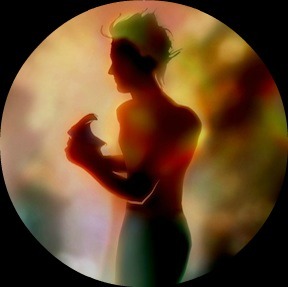 The merman caught it in his hands and felt his palms sting as the stone hit them. But he held the club. “How’s what?” he asked, before the tip of the club hit the ground with a thud. He let it go. “I wasn’t aware we were playing a game,” said Wynn calmly. Wynn looked at a stone sword. This must’ve been the weapon that Borealis used to crush the Bulwark Giant. Wynn reached over and grabbed the weapon with both hands. The sword was blunt but heavy. He gasped as he tried to lift it. Yet, a minute later, he held it in his hands like a heavy sack of kelp crop. As he did so, a smile crept over his face. He was holding a piece of history… Something that had once belonged to Borealis! Wynn turned to see another shape on the altar: a large sword made of black rock. He gulped, then dropped the sheath. It hit the floor and nearly smashed his tail. The mermaid went over and lifted the sword with both hands. Her hands shook a little, but she managed to keep it up. She placed it back down and the room filled with a rumble. Wynn went over to try his hand at the sword. The weapon barely budged. Wynn took in a deep breath and tried again. The mermaid began to smirk, but Wynn leaned in and began to push the sword over to altar’s edge, thinking that if he could get the weapon to slide off, he might be able to quickly grab it. The moment it slid off, the sword hit the ground. A crack split the floor in two, and the wall corals went dim. The chamber rumbled, and a piece of the back wall crashed to the floor. A giant hole was made, and from within this, four crabs crawled out. Each was the size of a boulder, and all of them were made of black chitin. The mer halted as the crabs entered the room. The crabs were excavators. Creatures that helped the warriors dig out stone for their weapons. The crabs wandered closer and Wynn held out his hands. Apologies, he sent out as a thought message. We did not mean to disturb you, friend crabs. The crabs did not move closer, but raised their arms and clacked their pincers. “Hah. You’re hilarious, you know that?” Wynn scoffed. She grabbed a club and smashed one of the bigger rocks into smaller chunks. Wynn gulped but held his hands out and sent out thought commands: Halt! he told the crabs. We mean you no harm. The crabs slowed for a moment. Then, a shard of rock flew outward and hit one of the crabs in its underside. It charged. 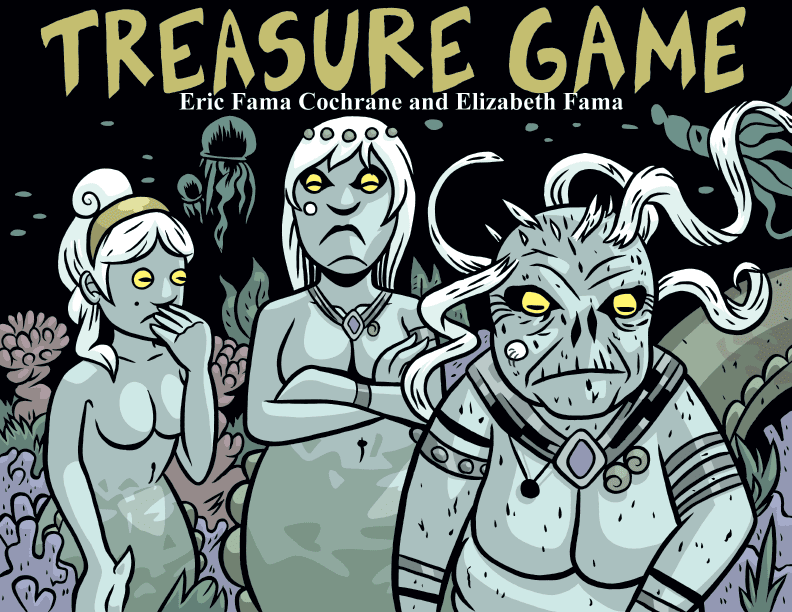 The mermaid turned and raised her club, ready to strike a crab. Yet, before anything else could happen, the animals froze. “Huh?” said Wynn and the mermaid. 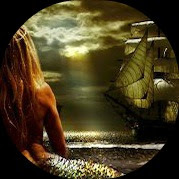 They looked up to see a merman waiting within the hole in the wall. A merman with a jet-black body and ice-blue hair. His eyes were closed as he held a hand in the direction of the crabs. These animals turned to face him and bowed before they crawled into the shadows. The captain opened his eyes and glowered at her. Dorsimer stared upon the armbands that were scattered throughout the chamber. The shrine was now a mess. “You may go,” he said. Marilenna turned and glared at Wynn. “I will not forget this,” she hissed under her breath. And in her eyes, Wynn saw a fyre greater than that of the deep-sea Volcamia outside Niemela. The mermaid swam off through the hole in the wall. “You are not a warrior, Wynn,” said Dorsimer. “A world of order,” said Wynn. “Yes, I know. It’s a Niemelan proverb from the first era. Author unknown.” He shook his head but wandered toward the hole, his shoulders slumped. “Yes, yes, I know it,” he added softly. The young novice looked away for a moment. But when he finally looked up, Dorsimer was nowhere to be seen. Wynn entered the shadowy hole and swam into a tunnel. A few minutes later, he popped out into the Oceanarium. Here, the coral balconies that lined the cavern glittered in all sorts of colors. And that’s when he stared ahead to see mermaids and mermen floating in the water. They were talking loudly. Something had stirred the peaceful waters of Niemelan life. No one responded, and the captain headed closer. Wynn squinted as he gazed ahead, and a moment later, he gasped. Ahead of him, Malachiro was dragging something into the chamber. Her skin was pale, almost like the inside of an ancient clam. Her hair was coppery and it drifted all around her. However, Wynn watched the human breathing and noticed a breathing polyp at the back of her neck. The human was beautiful. Strange and alien. She opened her eyes for a moment and stared around her. Her eyes met Wynn’s and he gasped. It’s a human! he thought to himself. A real human… drifting in Niemela! A second later, the human passed out. Malachiro took her into a tunnel, and everyone in the Oceanarium burst into a chorus of gasps and chatter. Everyone save for Wynn. He sank to the ground and knelt amid the sea grass. His mind was reeling. Suddenly, Wynn began to smile. Suddenly, nothing seemed that impossible. Not even in a world of order. 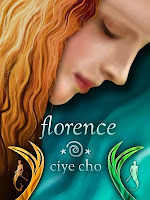 Copyright 2013 by Ciye Cho. All rights reserved.